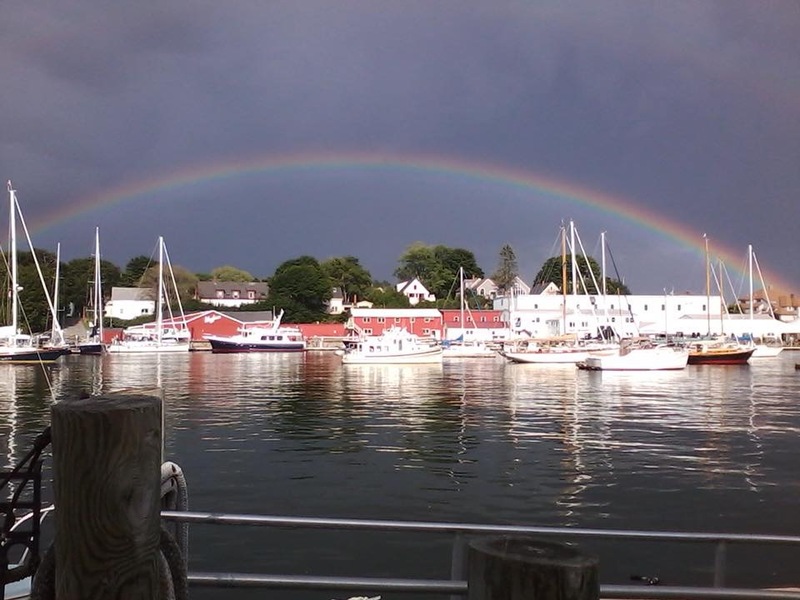 Camden, Maine after a rain shower. Eventually turned to a double rainbow and lasted approximately 45 minutes. It was beautiful!